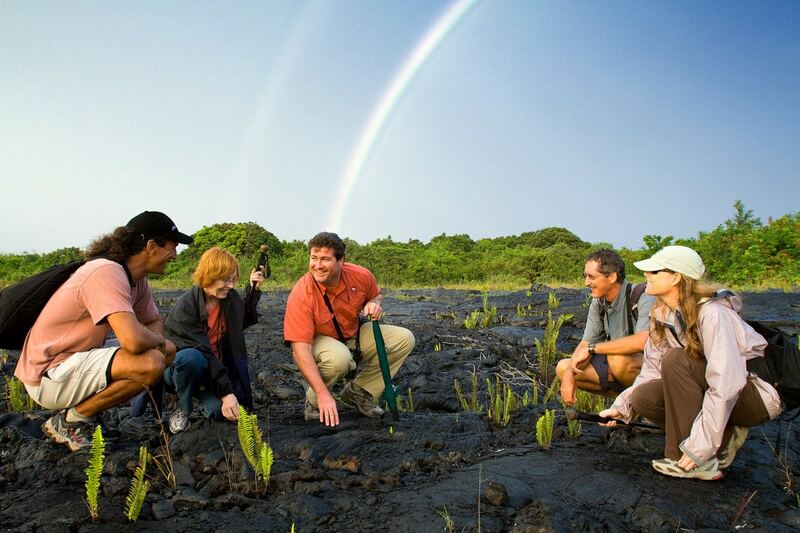 A Volcanoes tour by Hawaii Forest and Trail. Back to all tours. 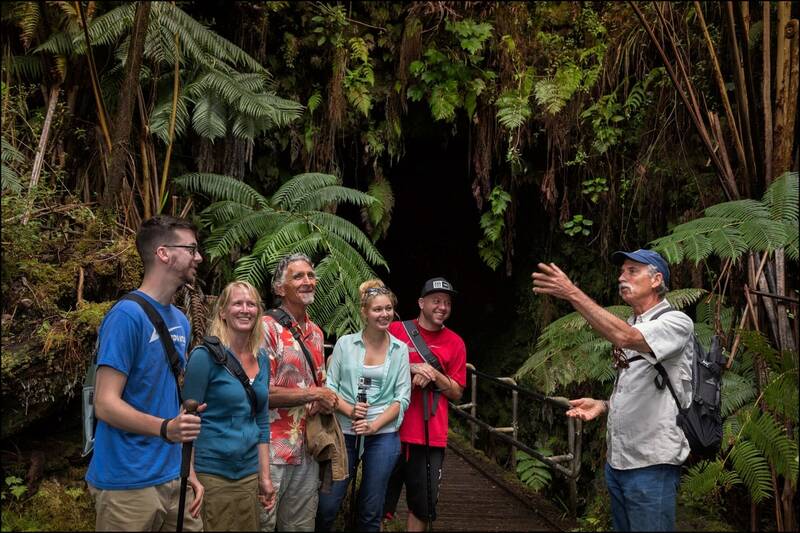 Tour Summary: The most in-depth volcano experience on the Island of Hawaii! 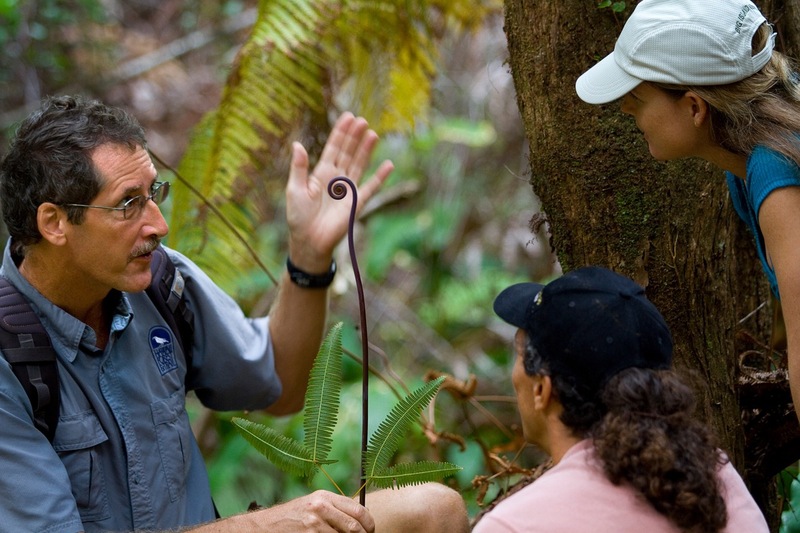 A national park certified guide shares a mix of natural and cultural history about the island’s formation, illuminating the stories behind the ever-changing landscape of our island home. Important: Bring comfortable walking shoes, long pants, and a light jacket. Guests should be able to hike on uneven or rocky terrain (2 to 3 miles total hiking). Included: Breakfast snacks, beverages, lunch, afternoon appetizers, National Park entrance fees, and water, are included. Cancellations: Cancellations: Customers will receive a full refund with 48 hours notice of cancellation. Private tours: Customers will receive a full refund with 72 hours notice of cancellation. Cancellations within the cancellation period and “no-shows” will be charged the FULL AMOUNT of the tour. You can read more about this activity in our Volcanoes guide. 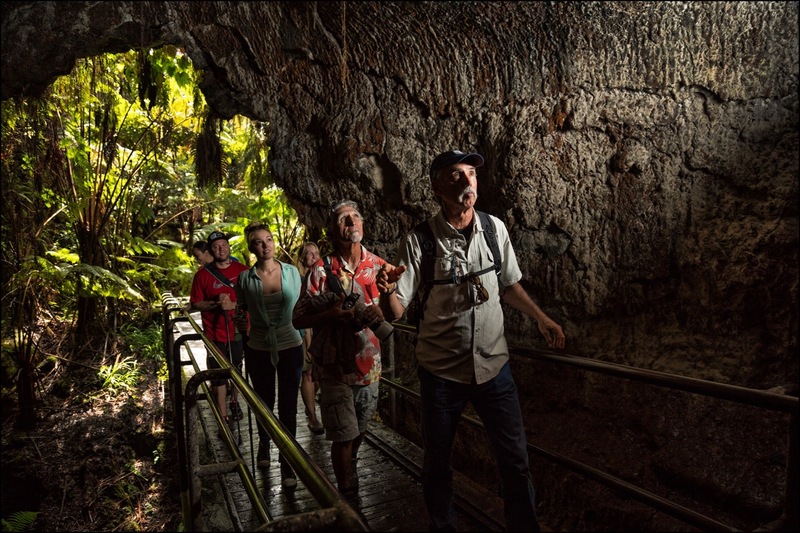 The most in-depth volcano experience on the Island of Hawaii is back! 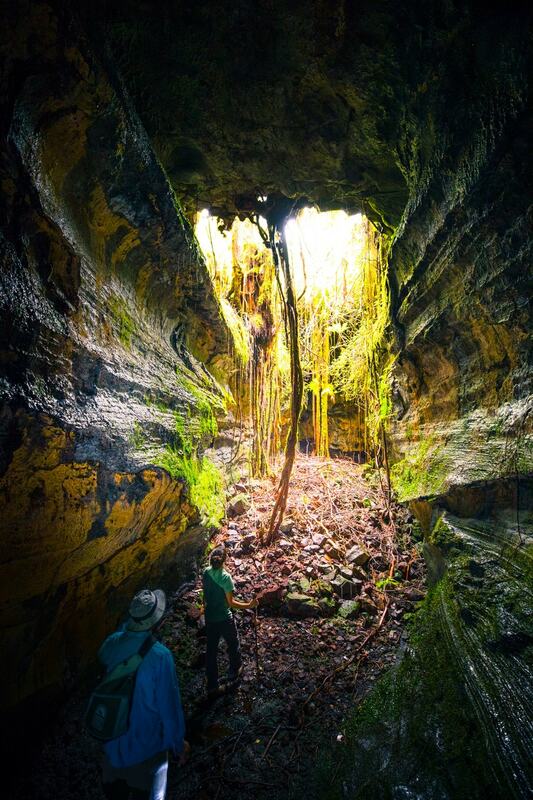 Learn about the natural and cultural history of the volcanoes and about the island’s formation. 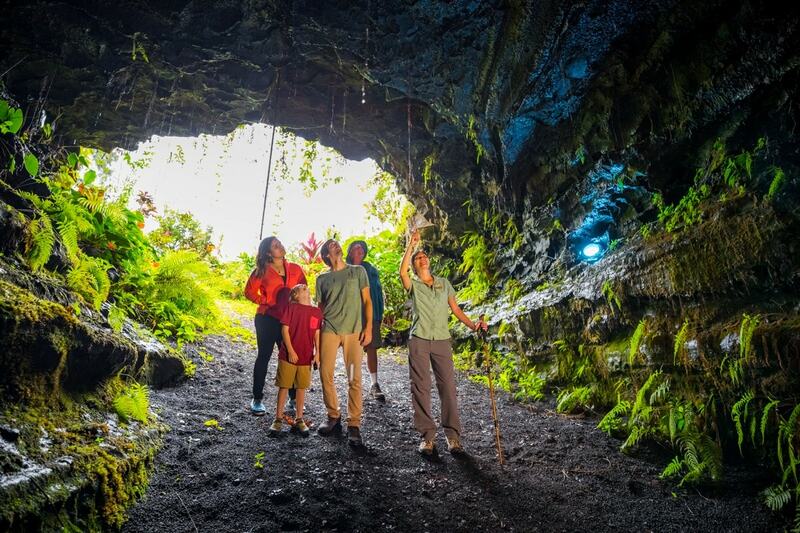 A National Park Certified Guide will share a mix of illuminating the stories behind the ever-changing landscape of our island home during this 12 hour tour exclusively focused on volcanoes! 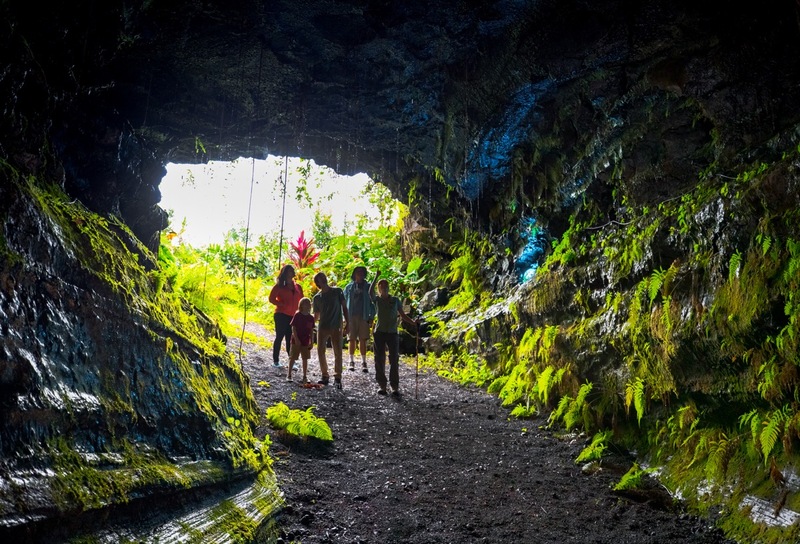 After a convenient pickup from select hotels on the Kona and Waikoloa coast you take a scenic drive on Saddle Road to the famous Hawaii Volcanoes National park for exploration and lunch. 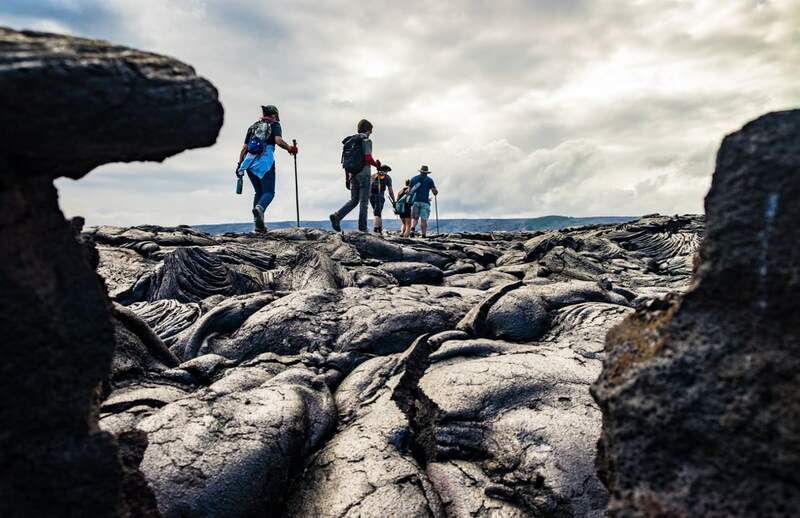 In the Hawaii Volcanoes National Park you visit the Kilauea Crater which was dramatically transformed in 2018 by the recent lava flows towards Fissure 8 and violent seismic activity in the area. 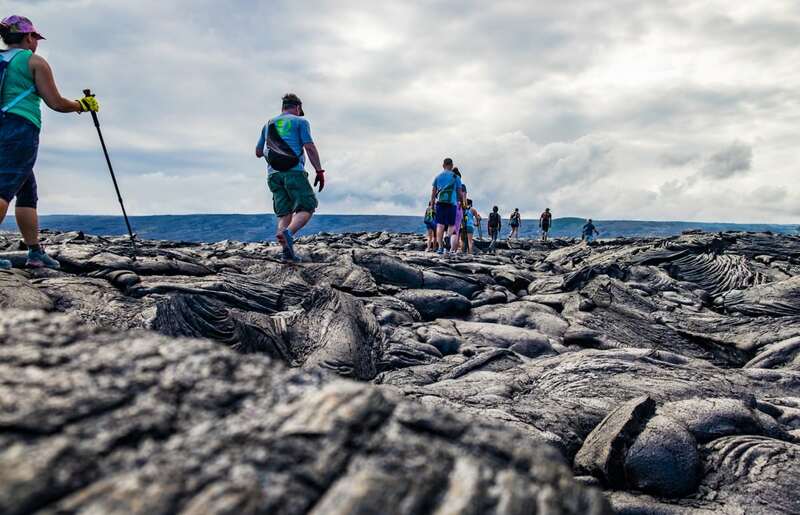 This tour includes 2-3 miles of hiking around the park to explore on foot and get up close to the volcanic landscape. Your guide will explain what happened to the park and what it was like before it was forced to close in April 2018. 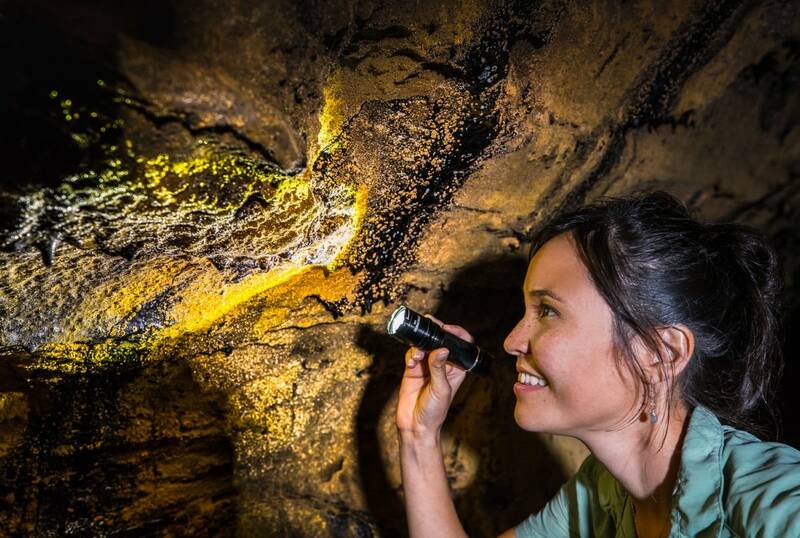 Afterwards you explore Kauhi cave, a magical lava tube with ceilings as high as 35 feet known for its bright yellow and gold microbial mats living on and accenting the cave walls, and finish with a pau hana (Hawaiian for “happy hour”) featuring locally-sourced appetizers. Q: How much hiking is there on this tour? A: You will hike for 2-3 miles at a location determined by park conditions that day. 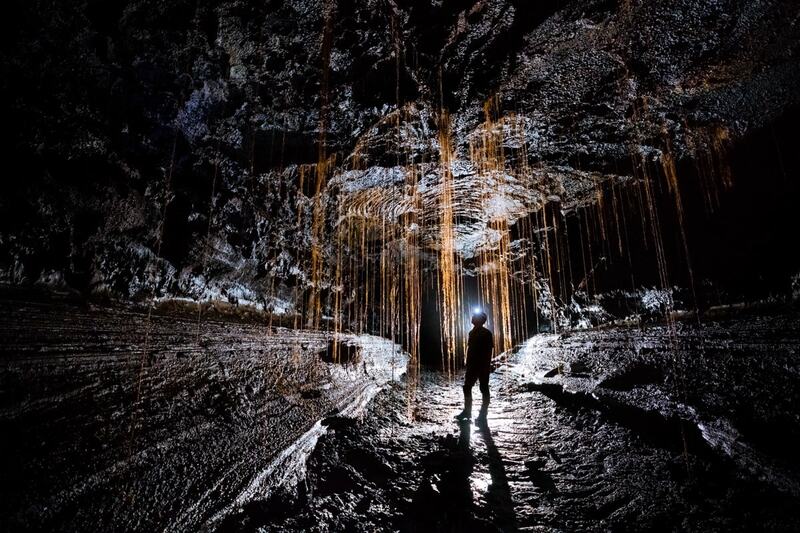 Q: Will we get to see active lava? 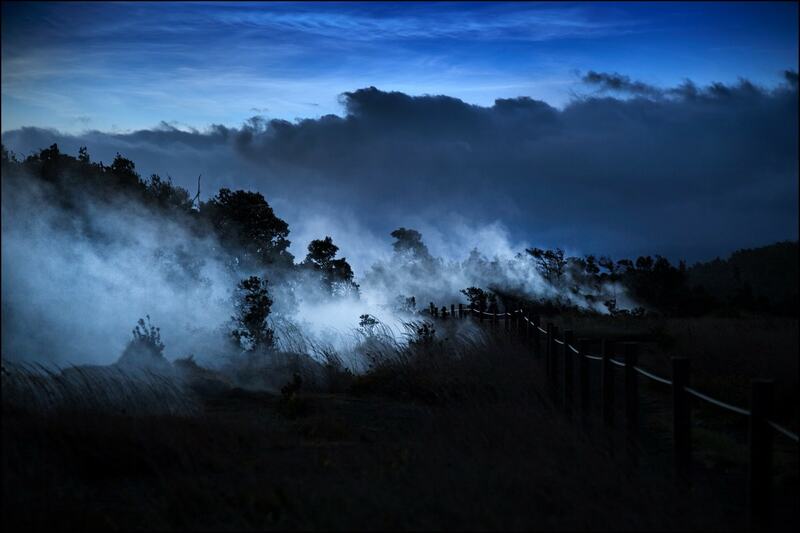 A: Although there are currently no active eruptions in Hawaii Volcanoes National Park and on Kilauea Volcano, active lava viewing conditions change daily or even hourly. You can get a weekly update from the USGS website here.